The Downtown Holiday Market opens today running through Sunday, December 23 and open from Noon to 8 pm daily. 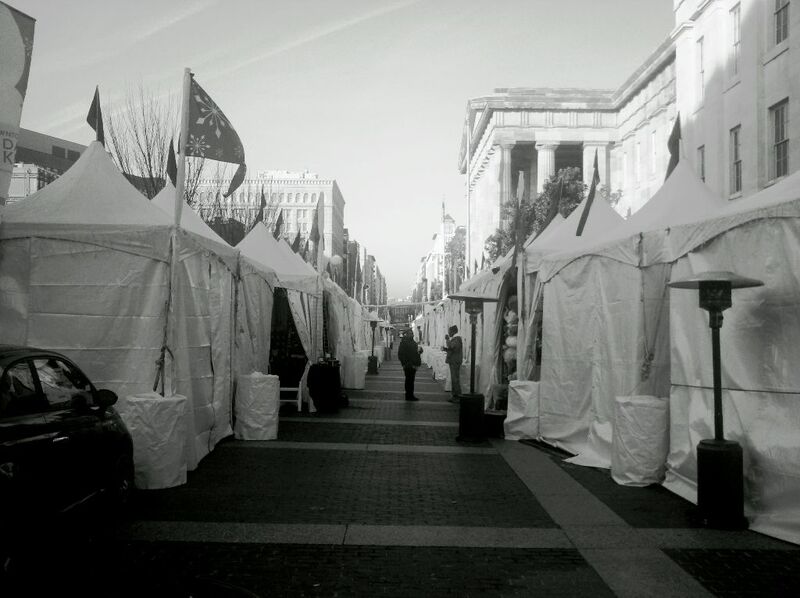 Vendors set up booths lining the north side of F St NW between 7th St and 9th St NW. Everything was in place this morning as shown above and we are always happy to see our Penn Quarter streets come alive with goods, song, and nourishment during the holiday season! Enjoy and TGIF!